Last week was a busy one. On Sunday, I flew out to Mexico for a oneworld meeting and to welcome Mexicana into the alliance. 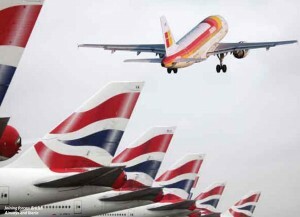 I flew back via Madrid and arrived back in London just as the merger agreement between BA and Iberia was announced. It’s taken a long time to get there, but fantastic news. Time to start learning Spanish! This entry was posted in BA, News by Robert Boyle. Bookmark the permalink.